The FCA is interested in the circumstances around banks closing customers’ accounts, or restricting access for new customers, over the last few years. It wishes to know more about what is driving account closure and how many customers, of which type, are affected. 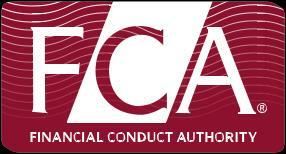 The FCA is also concerned as to whether ‘wholesale’ derisking and financial exclusion from the withdrawal of banking services is occurring, and if due consideration is being given to the merits of individual cases before a decision is made to terminate an existing account or not to grant a new account. The FCA wishes to understand which impacted customers have faced difficulties, delays and account closures. The FCA believes these to include Small and Medium-sized Enterprises (SMEs), the FinTech and defence sectors, personal account holders (including minorities and vulnerable groups), and those who are discouraged from using the banking system. Many banks told us that they needed to lower their overall risk profile, to realign their businesses and that they are paying closer attention to compliance since the global financial crisis. Further, we heard that derisking is partly a result of the higher costs of compliance and the increased amount of regulatory capital now required, and partly a response to criminal, civil and regulatory actions. These include regulatory settlements, including Deferred Prosecution Agreements (DPAs), especially those reached in response to AML/CFT failings. There is also no doubt that banks are trying to do what they believe is expected of them under the risk based approach (RBA) to AML/CFT, in reducing the extent to which their services are abused for financial crime purposes, by on occasion exiting relationships that present too high a perceived risk of such abuse, regardless of the costs of compliance. These perceptions of risk stem from their own judgments, in part reflecting the signals emitted (or judged to be emitted) from the range of regulators and prosecutors who are salient to their institutions, and also the global rankings from the commercial agencies involved in risk judgments. Higher compliance costs may also be reducing incentives for larger banks to maintain many interbank relationships, which previously were seen as providing extra cover or transactional options: a majority of the small and medium-sized banks surveyed reported difficulties, which in some cases have led to them cutting services to customers and to other banks. We assess that other factors have combined with regulatory actions, higher compliance costs and perceived pressure from correspondent banks, to create a ‘perfect storm’ of changes which have struck banks during this decade. These include much higher capital requirements; higher liquidity thresholds and ultimately a tougher environment in which to achieve profitable relationships. For the majority of our bank interviewees, this has resulted in a strategic review of business and functions, often in parallel with an over-arching review of compliance risk processes. In turn this has sometimes resulted in slimming down of business, resulting in many exits being driven by the assessment that relationships are ‘non-core’. So we are describing a compound situation in which a range of factors may be involved in many of the exits. Ultimately, banks may feel themselves entitled to do business or notdo business with whomever they like, subject to legal (including regulatory) requirements. Achieving the perception of legitimacy and fairness of the regulatory system requires consistency and transparency when dealing with each type of customer. Established risk-based approaches to financial crime identify the risk associated with various factors such as sector, occupation, types of business; geography and jurisdiction risk; political risk; distribution channels; and product or services that customer requires or uses. However, by contrast to some other banking risks like consumer credit loss and fraud risks, there is not yet a generally agreed quantitative assessment methodology for assessing financial crime risk and it is difficult to determine to what extent the data are sufficient for this purpose, other than to make a broad subjective assessment. Banks vary in their ability to ‘score’ particular customers, depending on the bank’s size, resources, geographic coverage and other factors. Decisions on what financial crime residual risks fall within acceptable parameters for a particular bank may be taken through an expression of financial crime risk appetite and/or as an output from customer risk assessment tools, using the broad risk factor categories. Risk appetite statements often contain broad definitions of acceptable risk, such as ‘minimal tolerance for residual Financial Crime risk’, but we have also found examples where particular sectors are specifically mentioned. If this amounted to a complete prohibition it could be classified as ‘wholesale derisking’, but we have found few examples relating solely to AML/CFT issues. Reputational risk, bribery and corruption concerns and strategic business reasons also factor in to some banks ruling out the banking of certain sectors, for example the defence industry. This entry was posted on June 12, 2016 at 06:56	and is filed under Financial Crimes, Money Laundering. Tagged: AML, de-risking, fatf. You can follow any responses to this entry through the RSS 2.0 feed. You can leave a response, or trackback from your own site.